A good clutch can last your car between 50,000 and 100,000 miles. This depends on the make, model and year of the vehicle as well as the type of clutch and your own driving habits. Stop-and-go traffic, towing heavy loads, abruptly engaging or “dumping” the clutch and riding the clutch (keeping your foot on and halfway engaging) when decelerating are all factors that influence a clutch’s lifetime useful service. Clutch failure symptoms are easy to spot if you pay attention to your vehicle. You’ll need to remain vigilant of noises, and clutch pedal behavior, and performance to understand the problem and its source. 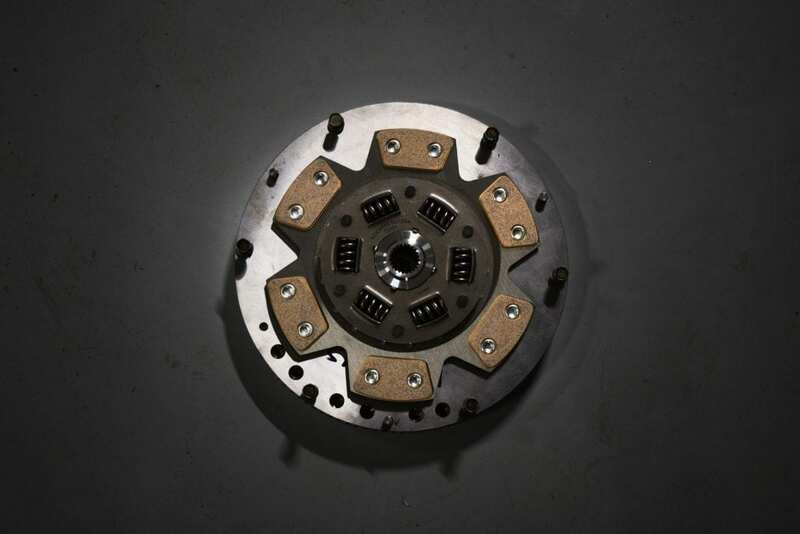 Before diagnosing your clutch problems, its important to understand what a clutch is and how it works in regard to your vehicle’s powertrain. 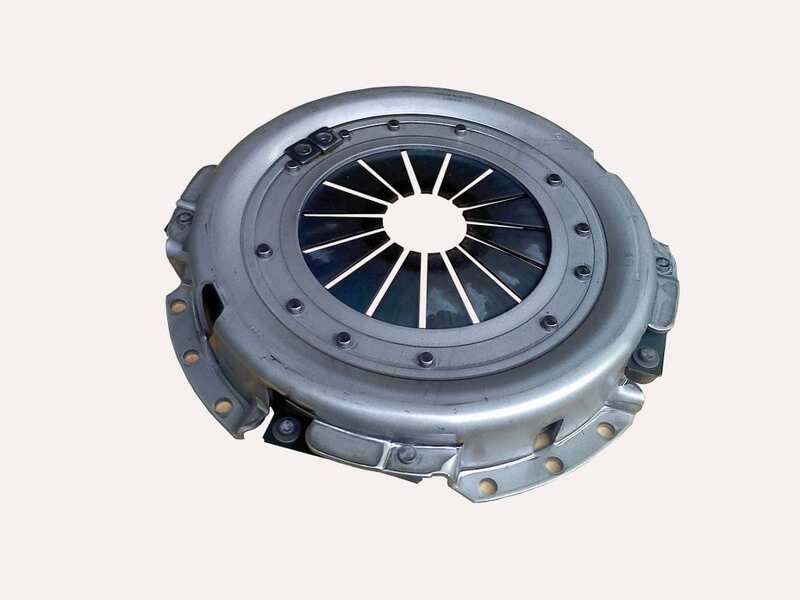 A clutch is a mechanical component in a vehicle or other mechanical device that engages and disengages a powertrain or transmission between several rotating shafts. 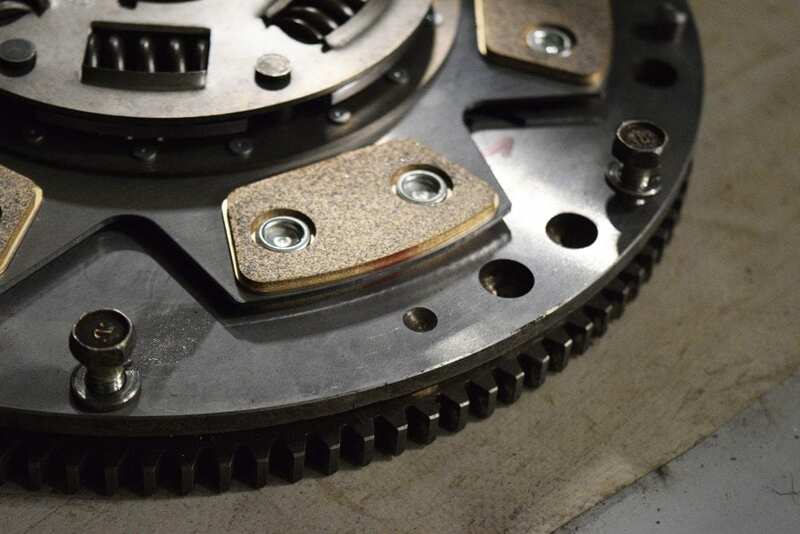 The clutch connects theses two shafts, allowing for either to lock together and spin at the same speed, or decouple and spin at different speeds. In most vehicles, the clutch sits between the engine and the main driveshaft, modulating torque and power from the engine to the wheels. Torque is simply any force applied at a distance. Its measured in foot-pounds or newton-meters. You need a clutch in your car because the engine spins all the time, but your car’s wheels don’t. To stop your car without stopping the engine, you need a way to disengage the wheels from the engine. Through the friction of the engine’s flywheel and the clutch disc, you can engage your spinning engine to a sometimes-spinning transmission and visa-versa. When you aren’t engaging the clutch the clutch’s springs push the pressure plate against the clutch disc. This presses against the flywheel and locks the engine to the transmission input shaft, causing both to spin at the same speed. If your mechanic refers to your clutch slipping, they mean that the clutch’s friction material is worn out. Your clutch only engages through friction, so if there’s no material there to provide that friction, then your clutch won’t engage properly. 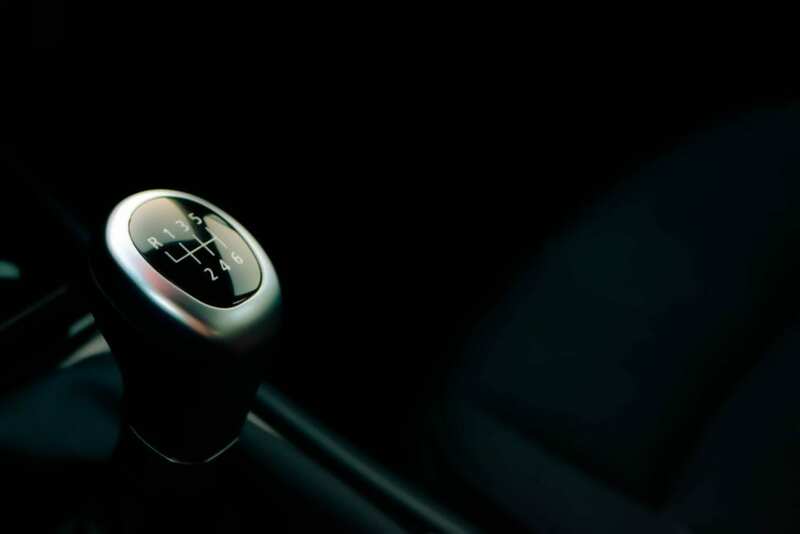 If your clutch is slipping, you’ll feel that as you release the pedal and accelerate, your vehicle will move slowly, while the engine revs higher. You may also notice the clutch releasing sooner than expected without much need for pressure. Clutch linkage or cable needs adjustment because the cable is binding or the cable housing is filled with rust. Clutch linkage is bent, misaligned, or damaged. Pressure plate is weakened or warped. Clutch assembly is contaminated with oil due to your engine or transmission oil leaking. Broken or stretched clutch cable – The cable needs the right amount of tension to push and pull effectively. Leaky or defective slave and/or master clutch cylinders – Leaks keep the cylinders from building the necessary amount of pressure. Air in the hydraulic line – Air affects the hydraulics by taking up space the fluid needs to build pressure. Misadjusted linkage – When your foot hits the pedal, the linkage transmits the wrong amount of force. Mismatched clutch components – Not all aftermarket parts work with your clutch. The clutch fork is a hydraulic or mechanical releasing device that helps engage and disengage the clutch. You’ll hear noises when lubricant dries out and the mechanism wears down. A cable, rod or connection may also scrape and cause squeaking or clunking. When your clutch pedal vibrates, that means the clutch disc is losing it’s grip on the flywheel intermittently. When rotating parts wobble or vibrate inside your transmission, you might feel your clutch pedal pulsate. In these cases, warped flywheels may be the problem, or a release lever needs adjustment. 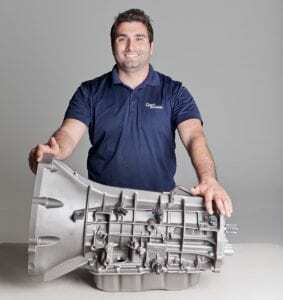 If the pulsation or vibration began after servicing the transmission, then its possible the transmission housing is improperly aligned with the engine. A clutch pedal that stays on the floor means that you have binding problems with the linkage or release bearing. In this case, check that the springs in the linkage are not over-stretched – they may need adjustment. You may also want to inspect the release bearing and check that the pedal stop is in place. If your clutch pedal feels loose or spongey, then check the release bearing or clutch fork for damage. Frequently we find failure in the pressure-plate diaphragm spring in mechanical units. Every clutch requires some amount of input or force from the drive to fully depress and engage. If you find yourself pressing excessively hard to engage the clutch, then you have a problem with the release mechanism. In mechanical applications , this is a sticking or binding pedal linkage, cable, cross shaft, or pivot ball. For hydraulic systems, this will be a blockage or worn seals in your hydraulic system. In mechanical systems check the cable, linkage, clutch fork, pressure plate, and throw-out bearing and see if everything is properly lubricated or worn out. If your car makes a grinding, whirling or chirping sound when the transmission is in neutral, but the noise goes away when you depress the clutch pedal, it’s possible that the noise is coming from a worn-out input shaft bearing. If you hear grinding when shifting gears, that means the clutch disc remains engaged. The transmission input shaft then keeps spinning even when you fully depress the clutch pedal. Since the input shaft is still spinning, trying to shift gears when into reverse or otherwise will cause your transmission to grind. This grinding may point to any number of problems with the pressure plate, throw-out bearing, or release mechanism. On a mechanical release system, the cable may be broken, frozen, overstretched, or in need of adjustment. On a hydraulic system, grinding may indicate problems with the clutch master cylinder, which could include low fluid, air in the system or the internal cylinder mechanism needs replacement. Also examine the clutch pedal assembly. The pedal may have too much free travel and will need adjustment. Clutch problems may also prevent you from getting into or out of reverse or third gear. A stuck gear may indicate problems with the linkage adjustment, a linkage malfunction, or a warped or damaged clutch plate. On a hydraulic system, failure to get into gear may indicate problems with the master or slave cylinder or both. Usually, this is accompanied by a change in the way the clutch pedal feels: spongy, loose, or not catching as before. On a mechanical system, you may be having problems with the clutch disc or pressure plate, release lever, release bearing, shift lever assembly, or control cable. If you have any questions regarding clutch failure symptoms or you’re in need of a transmission service or rebuild, give General Transmission Reno a call today. Were a family owned transmission repair shop built on values and integrity and we’re more than happy to answer your questions.